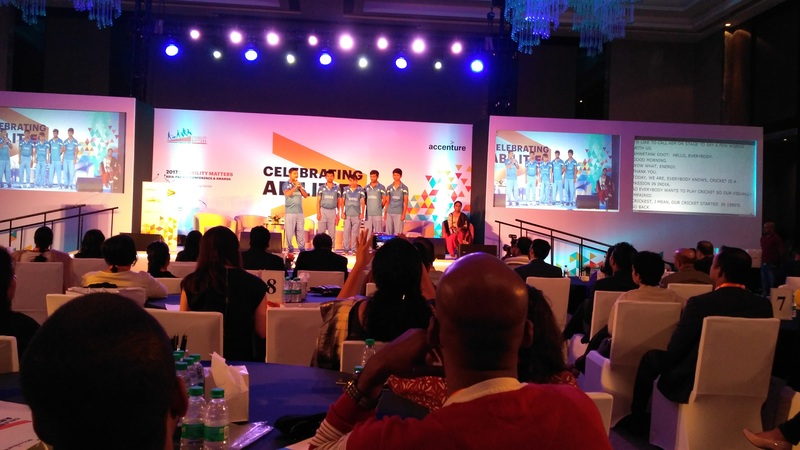 Players from the Indian Blind Cricket Team sharing their experiences at Disability Matters Asia Conference 2017 in Bangalore. Wikipedia defines blind cricket as “a version of the sport of cricket adapted for blind and partially sighted players.” Before yesterday, I didn’t know it existed. Shame on me! 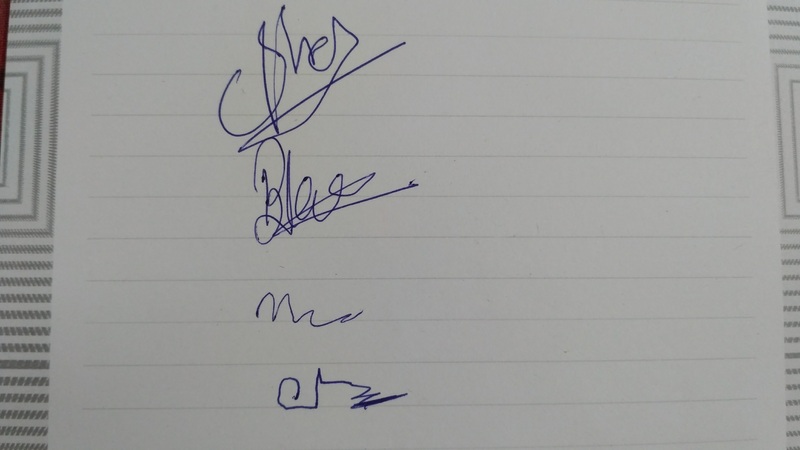 It is not every day that you get a chance to meet players of an international sports team. That happened to me at Disability Matters Asia Conference 2017, yesterday, July 28, where I met players from the Indian Blind Cricket Team. 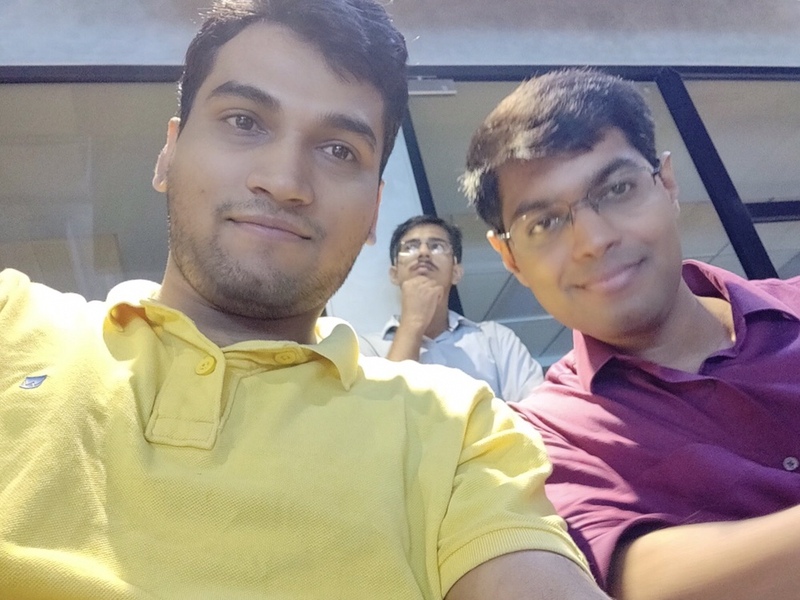 Although the conference was about innovations and best practices in the field of accessibility in software, prominent differently-abled people were invited to share their experiences. Top IT companies were invited to speak on accessibility in software, with Accenture being the lead event sponsor. The event was enlightening in many ways. I have separately written about my conference experiences on LinkedIn. 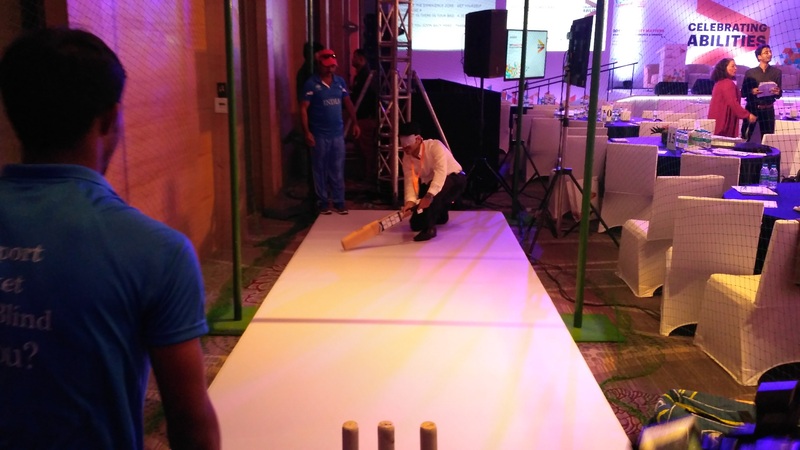 A blind cricket experience zone had been set up inside the conference hall. This was a pitch-sized area, bound by nets, where one could experience how blind cricket was played. Non-blind people were blindfolded before they were handed the bat. It was not surprising to see those people unable to even make contact with the ball. I did not try my hands at batting but watched intently when others did so. A blindfolded person tries his hands on batting. Blind cricket is played with an auditory ball – a hollow ball filled with stuff that produces a rattling sound when the ball is rolled. The bowler, before throwing the ball, feels the stumps or the crease to make a sense of direction. Using their non-bowling hand as a rudder, they throw the ball with an underarm action. The batsman uses sweep-shot to maximize the chance of hitting the incoming rattling ball. Each team has four players who are totally blind, categorized under B1, three players, partially blind, categorized under B2, and four players, partially sighted, categorized under B3. It is nothing short of amazing to see how the fielding side strategically uses this combination to cover the entire ground. Blind Cricket is globally governed by the World Blind Cricket Council (WBCC). It has 10 member countries, including all regular cricket test playing nations such as India, Pakistan, Australia, South Africa, etc. The governing body in India is Cricket Association for the Blind in India (CABI). The whole experience was enlightening. I think it was a great idea by the organizers to arrange for this experience. As an IT professional, I found it particularly interesting to see in reality how the blind play sports. I was already getting some ideas about certain design elements to use and not use while creating accessible software. 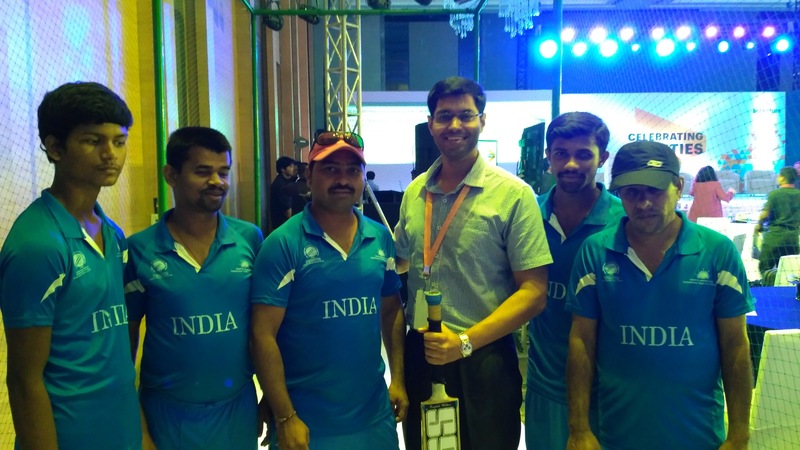 Leading the contingent of players, present at the event, was Shekhar Naik, mentor and former captain of the Indian team. Naik has captained the Indian cricket team to two major victories – the 2012 T20 world cup and the 2014 world cup. He was awarded the Padma Shri earlier this year by the Government of India for this feats. It was an absolute honor to meet the man in person: a humble and down-to-earth guy, always ready to make friends. Naik is partially blind and plays in the B2 category as wicketkeeper-batsman. He told me the stories of other players that he knew as well as his own. A lot of players in the team are congenitally blind, mostly due to heredity. In Naik’s own family, 15 others have some form of visual impairment. To sum up, DMAC was one of the best conferences I’ve ever been to. I got a chance to meet some incredible personalities who have achieved phenomenal success despite struggling with even the simplest of things every day of their lives, things that fully abled people take for granted. I am glad that I now know something about how the blind play sports. This has opened up my thought process for designing more accessible software. I close my blog post with this beautiful picture where I am standing along side the Indian cricket team (Naik is wearing an orange cap).